The second exhibition of work from 80 award-winning photographs in Anadolu Agency's 2018 Istanbul Photo Awards opened in Ankara on Thursday. "Anadolu Agency is the address of news, photos and videos but we want to be more effective in photography," Deputy Director General and Editor-in-Chief Metin Mutanoglu said. 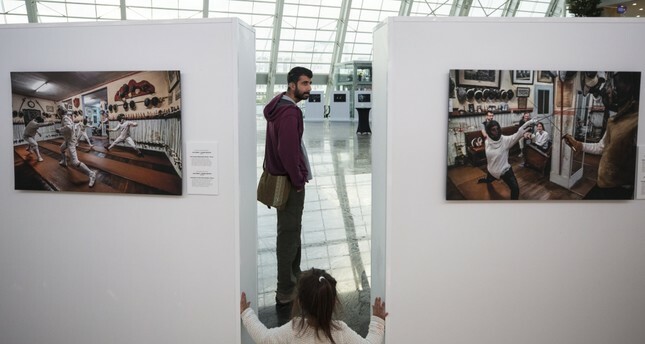 All the photographs from "Istanbul Photo Awards 2018" will be displayed at the ATG Shopping Center in the High-Speed Train Station in Ankara until Oct.14. "The Istanbul Photo Awards have grown to become one of the most prestigious and significant photo contests and thousands of photographers take part in it," Mutanoglu added. The international contest is sponsored by Istanbul Metropolitan Municipality, Turkish Airlines and Turkish Cooperation and Coordination Agency (TİKA). The agency's Visual News Editor-in-Chief Ahmet Sel said almost everything about life was present in the photos. "We especially want the youth in Turkey to focus on the art of photography," Sel added. Damir Sagolj, a Bosnian photojournalist from Reuters, was named this year's winner with a striking shot of an 11-month-old dead Rohingya boy, whose eyes were covered with leaves. The contest received 37,000 applications from 125 countries and the international jury awarded 27 photographers from 22 countries in single and story categories of news, sports, portrait, nature and environment, and daily life.